Get some professional tips on bike handling including turns and downhill racing from Alison Dunlap. Alison Dunlap is an American professional cyclist who won the World Cross Country Mountain Bike Championship in 2001 and also has 2 Mountain Bike World Cup victories to her credit. In addition, she has a number of high achievements in the road racing aspect of the sport, including a victory in the Redlands Bicycle Classic in 1996. 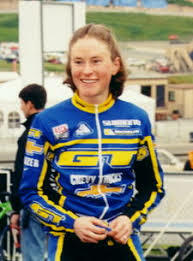 A two-time Olympian, Dunlap represented the United States in cycling’s Road Race event at the 1996 Summer Olympics and the cross country mountain bike event at the 2000 Summer Olympics. In this video, Alison talks about proper hand and body position on the bike for ascending, descending and cornering.